Leading a double life of fame on “The Voice” – Live! Starring ... You! Just a few months ago, Noa Danay was living a normal every day life. A typical high school senior who had big dreams just like everyone else. While her fellow classmates were applying to colleges and re-taking their SATs, Noa was booking her plane ticket to Israel to audition for the hit television show The Voice. 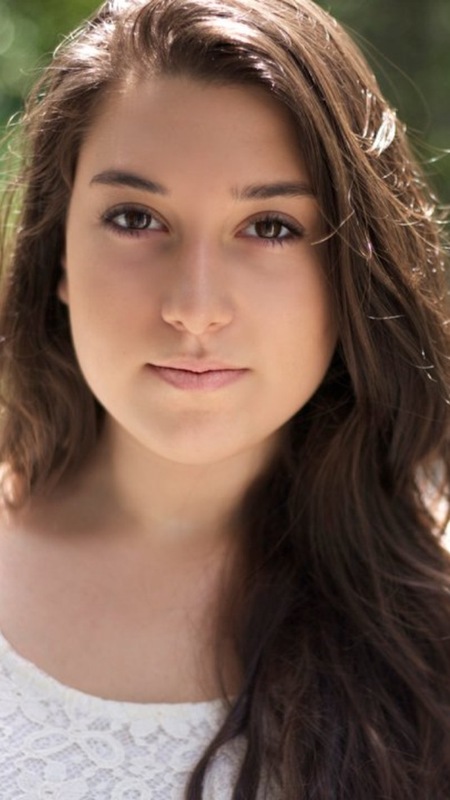 Noa is a 17-year-old from Long Island. She attends Harborfields High School and is anticipating her graduation day, which is right around the corner. Noa is a normal everyday high school student. She looks and acts just like everyone else. She has the thick long dark hair, a cute contagious smile, and dorky glasses (when she feels like wearing them). But what separates her from her classmates is her tremendous singing voice that everyone loves to hear. Her entire family – both sides – are all living in Israel. Her immediate family moved to New York before Noa was born and decided this was where they wanted to continue their lives. For those who don’t know, The Voice is a singing competition, similar to American Idol. The first round is technically the audition round where you have four mentors sitting with their backs facing the singer. If the mentor hears potential, they hit a red button that allows them to turn around. If more than one coach turns, the singer chooses which “team” he or she would like to be on. The second round is a battle. Each person is paired with another teammate in which they will have to battle with a duet. Your mentor chooses which singer gets the spot in the next round before the viewers begin to vote. Noa described the rush she felt seconds before going on national television where this one moment would make or break her dream. The talented senior sang the hit song “I’m Yours” by Jason Mraz. Not only did she woo the judges by her wonderful singing voice and personality, but also with her fingers strumming on the ukelele. To make this audition even more nervewracking, no judges were turning their chairs for Noa. As she was waiting in anticipation and belting out her final notes, three out of four coaches turned their big red chairs around all wanting her on their team. Noa had a life changing decision on her hands. Who was she going to choose to be her mentor and lead her down the road to her dream? After a few minutes of stressful thinking, Noa picked Shlomi Shabbat as her coach. He is one of the most famous singers in Israel. He sings a lot about passion, family and love, which she could relate to. Everyone in Israel knows him for his big heart and his father figure of a personality. He’s known to be one of the nicest more sincere musicians out there. Picking her coach was a tad awkward and intimidating. However, she felt the connection between the two would be strong and that they would get along very well. Not only is it difficult for the contestants to pick a coach, but in fact it is even more stressful picking what contestant the coaches want on their teams! Shlomi Shabbat had a tough decision on his hands. “The moment I knew I wanted Noa on my team is the moment in which she began to speak and then I saw how full of love and soul there is in this girl beyond the music. I have to say that I was very excited when Noa picked me,” Shabbat told Live! Starring … You! Throughout this journey their relationship truly blossomed. Shalomi Shabbat felt the exact same way! No one can be on a national television show and not receive a little fame! Noa started becoming noticed in public places and doors began to open for the 17-year-old singer. Noa experienced something many teenagers and young adults only dream about achieving. She literally lived a double life. Not every high school senior spends half the year living her dream while trying to graduate on time. Noa became an icon to young people and really learned the perks of the music industry.